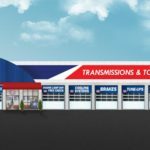 AAMCO, one of the world’s largest chains of transmission specialists, has been named one of Franchise Times’ Top 200+ Franchises of 2015. The Horsham, Pennsylvania-based company was ranked No. 154 on the list among 500 largest franchises. The Franchise Times Top 200+ list ranks more than 500 franchise systems based on their worldwide sales and locations. 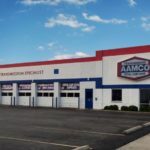 For more than 50 years, AAMCO’s locally owned and operated independent service centers have employed the latest technology. Expert technicians diagnose a repair, fix it right the first time, and back it with a nationwide warranty. The company has evolved into a total car care brand providing a variety of services including brake repairs, tune-ups, shocks and struts, routine maintenance and more. This year, AAMCO also was named to Entrepreneur’s Franchise 500. The system size, growth rate and financial strength also earned the brand the top spot in the transmission repair category on Entrepreneur’s “Best of the Best” list.